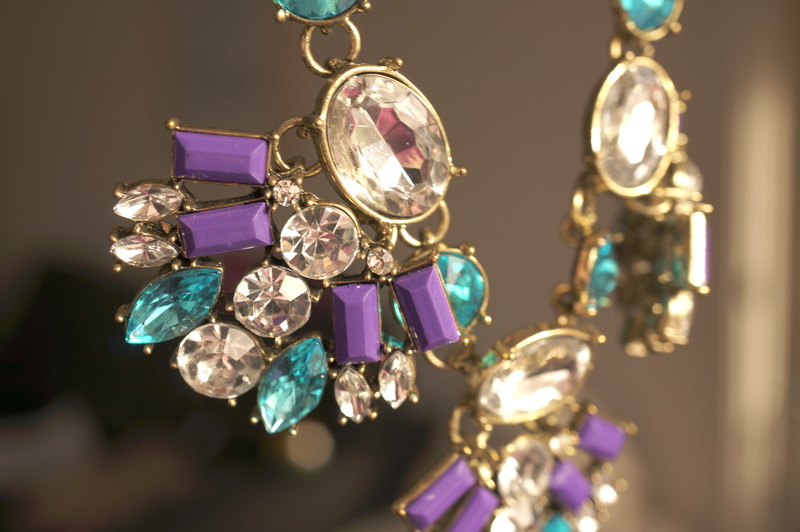 Today I thought I’d show you in a bit more detail my awesome new statement necklace from my last outfit post here. 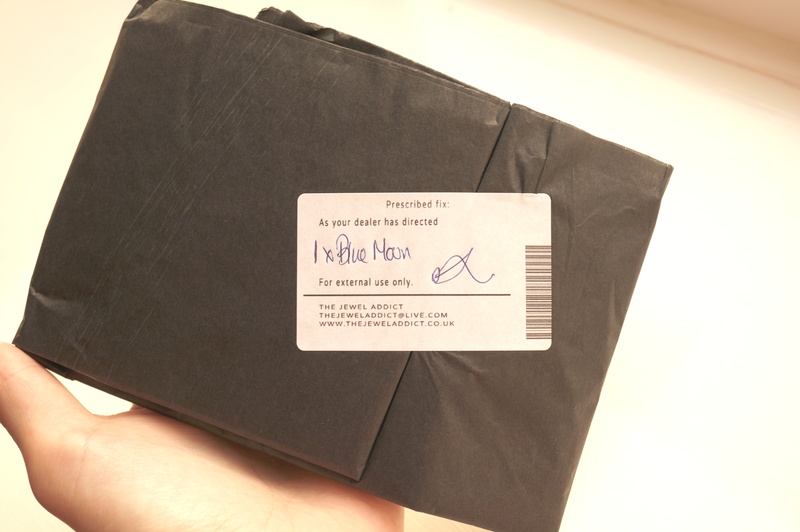 This necklace is from The Jewel Addict, I love the idea behind the name; I hadn’t really given it too much thought but then my parcel turned up, I opened up the silver packaging to find a parcel wrapped up in black tissue paper with a sticker imitating the label on a prescription medicine, I thought this was a really fun touch! I have the Blue Moon necklace, the chain has an antique gold finish and the gem stones are clear, turquoise and opaque purple, I love these colours together! I really have a thing about statement jewellery, and this ticks all the boxes for me. As an added bonus everything on the site is only £5 each! Awesome! Do you love statement jewellery like I do? I’d love to hear what you think! OHMYGOSH! Store Feature & Wishlist! Previous Post Winter Outfit Wish List! Oh wow, that’s a gorgeous necklace! Love the combination of blue and purple! 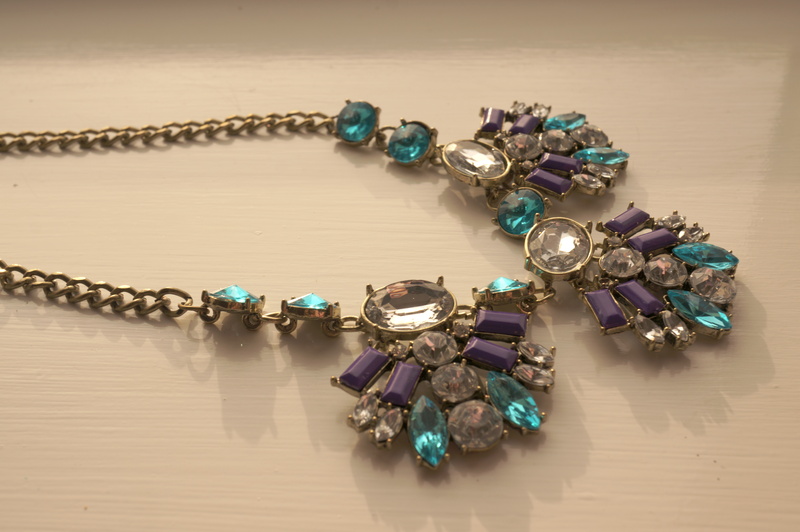 I love statement jewellery, I tend to buy it from Primark but it falls apart on me so easily. I’ll have to take a look on The Jewel Addict, especially for only £5. I ordered this today after seeing it on your OOTD post, can’t believe everything is only £5. Wanted a couple more of the necklaces but all sold out, will have to keep checking back!